Michael Jackson’s new single “This Is It” began streaming online and playing across the radio airwaves Monday, nearly four months after the “king of pop” died of a prescription drug overdose aged 50. It will be available to buy as part of the two-disc album “This Is It” which hits the shelves internationally on October 26 and in North America on October 27 to coincide with the global release of the Jackson movie of the same name on October 28. 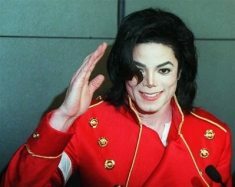 A short collection of clips from the film were also featured on websites showing Jackson and backing dancers rehearsing their routines for a run of 50 comeback shows at London’s O2 Arena which the singer had been preparing for when he died. “This song only defines, once again, what the world already knows — that Michael is one of God’s greatest gifts,” said John McClain, co-producer of the album and an executor of Jackson’s estate. The “This Is It” movie was the subject of a $60 million deal between Jackson’s estate and concert promoter AEG Live and Sony Pictures. Sony Music’s Columbia/Epic Label Group will be releasing the album. Sony Music said the first disc of the album will feature some of Jackson’s greatest hits plus two versions of the new single.